Do you ever happen to catch yourself traveling to the North Country fair? Happens to me all the time. It is a lyrical sojourn though, one that only lasts for the three minutes of Bob Dylan’s eloquent portrayal of love and loss. 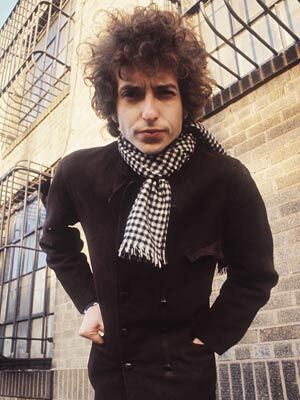 “Girl from the North Country” is one of Dylan’s most masterful songs – and this man is the master of songs. So that must mean that this song is masterful on top of masterful. I’m going to stop writing master. You catch my drift, though, right? Dylan sang of the North Country fair, released it in 1963 as the second track on his second album The Freewheelin’ Bob Dylan, and boy have people remembered him! There is a special canorous draw to Dylan’s odes to English folk. His authenticity and skill for folk music is evident in all of his folky endeavors, but he approaches English folk with such immaculate melodic splendor that it is tough to listen and not be moved. His vocal is tender and understated and I love that. His lightly plucked guitar tells the story that he effortlessly sings. While Dylan is not English, he is pretty much a musical chameleon and he does English folk well. In a way, it reminds me of how Nick Drake approached his hometown genre. Drake played some of the most beautiful English folk and if you have never heard of him please check out his music because he is wonderful. There is Dylan singing his song if you needed any proof. I am posting about “Girl from the North Country” today because I wanted to highlight some covers of Dylan’s classic that evoke the same emotion in me. Both examples are soft, almost subtle, versions that wash over listeners with warmth and feeling. The first comes from the grand harmonizers – Crosby Stills & Nash. It is ethereal, atmospheric, and, well, classic CSN. No one takes a song and creates harmonies like CSN. It is just a pleasure to listen to them at work. And I’m sure you are enjoying it right now. Eddie Vedder’s version is true to Dylan’s classic. And I am a bit surprised with how much I love this version. I believe it is because Vedder contains himself. He keeps his voice authentic and almost timid. We know he can be grungy, but, instead he teases us with a vocal sincerity that is much respected. Excellent version by Vedder. And, before I let you all go today, I have to give you the best version of this song. Bob Dylan. Johnny Cash. The Girl From The North Country. Magic. Love the Johnny Cash version. It is truly amazing. Awesome, awesome version! Cash and Dylan, magical moment, great find Matthew.